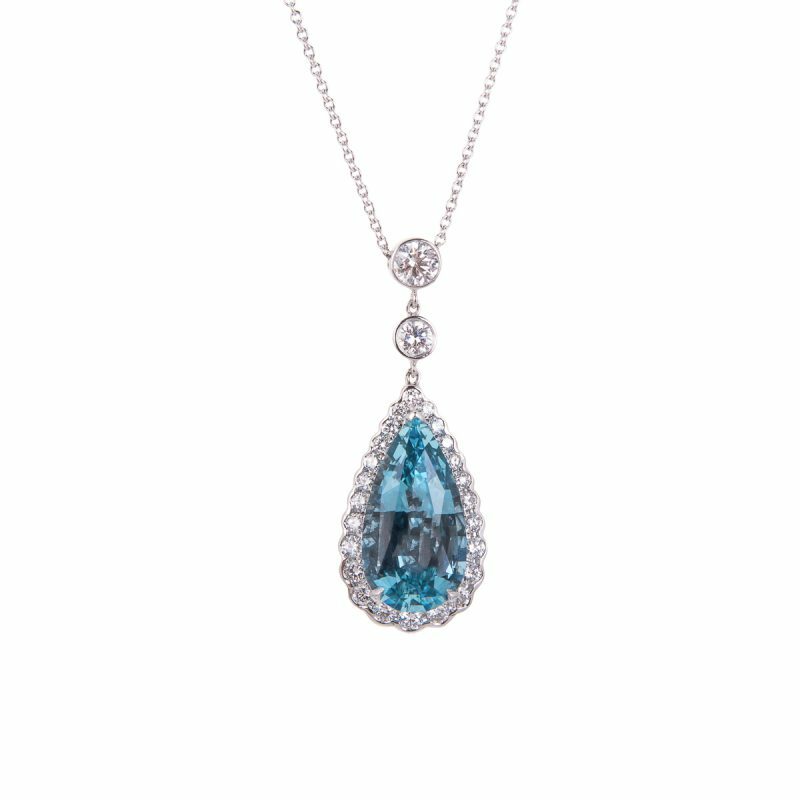 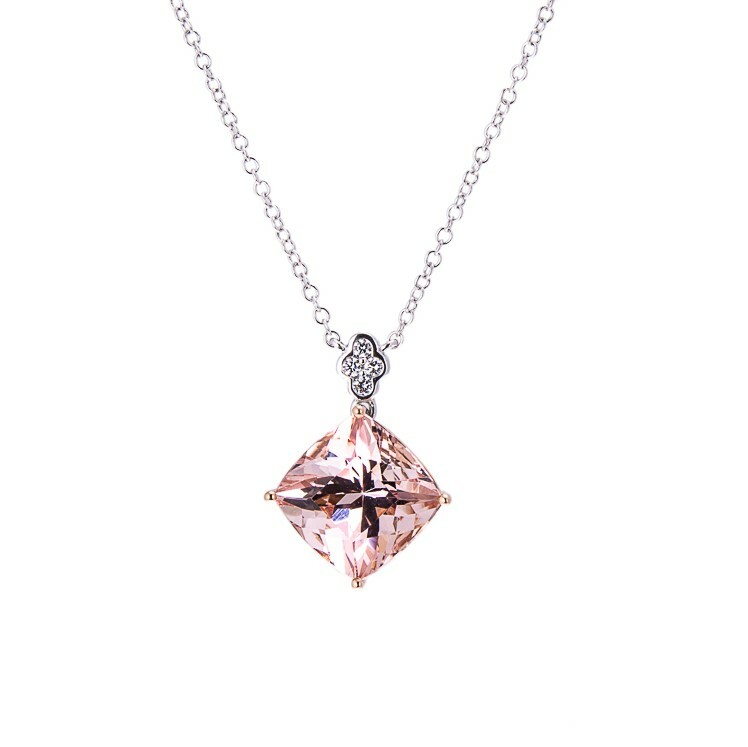 Give your fine jewellery collection a pop of colour with this stunning oval cut aquamarine and morganite double drop pendant. 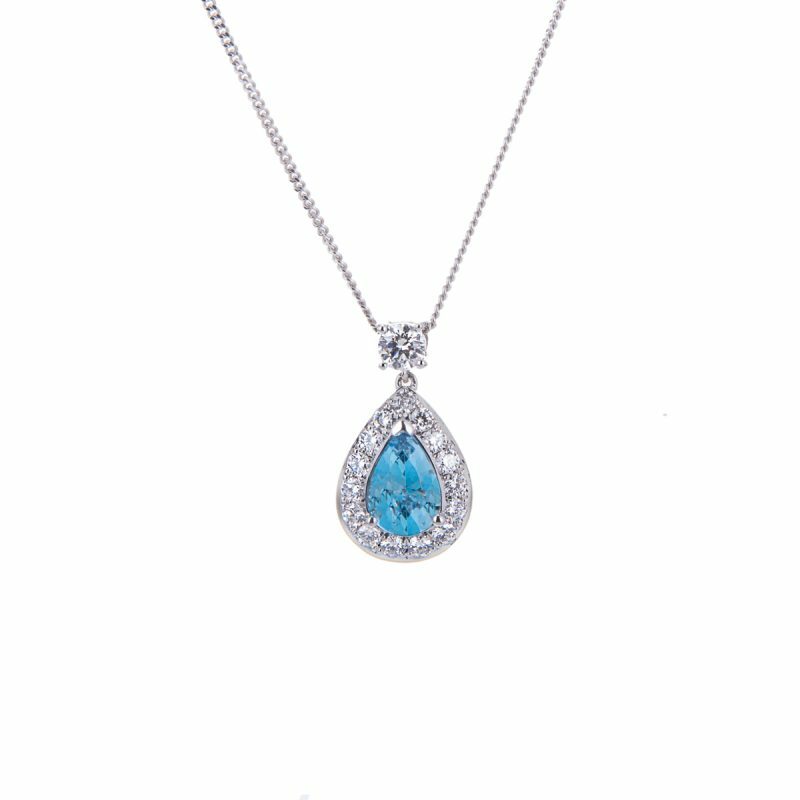 Mounted in a handmade 18ct gold setting each individual gemstone is enhanced by a halo of brilliant cut diamonds. 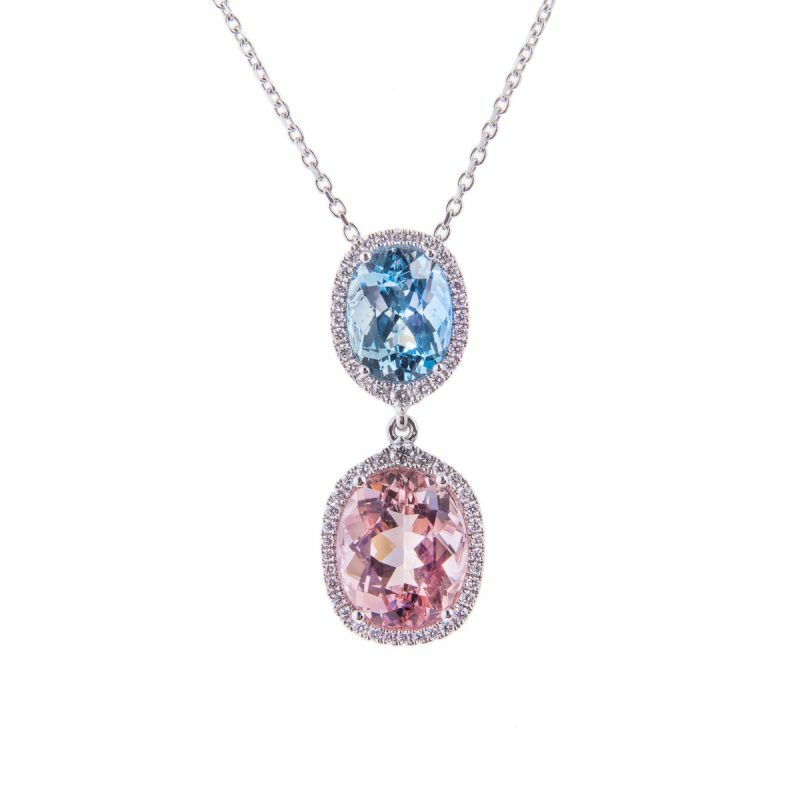 The perfect design to showcase these beautiful stones, morganite with its high degree of brilliance, excellent durability, and enchanting shades of rose pink contrasting with the subtle sea blue shades of the aquamarine. 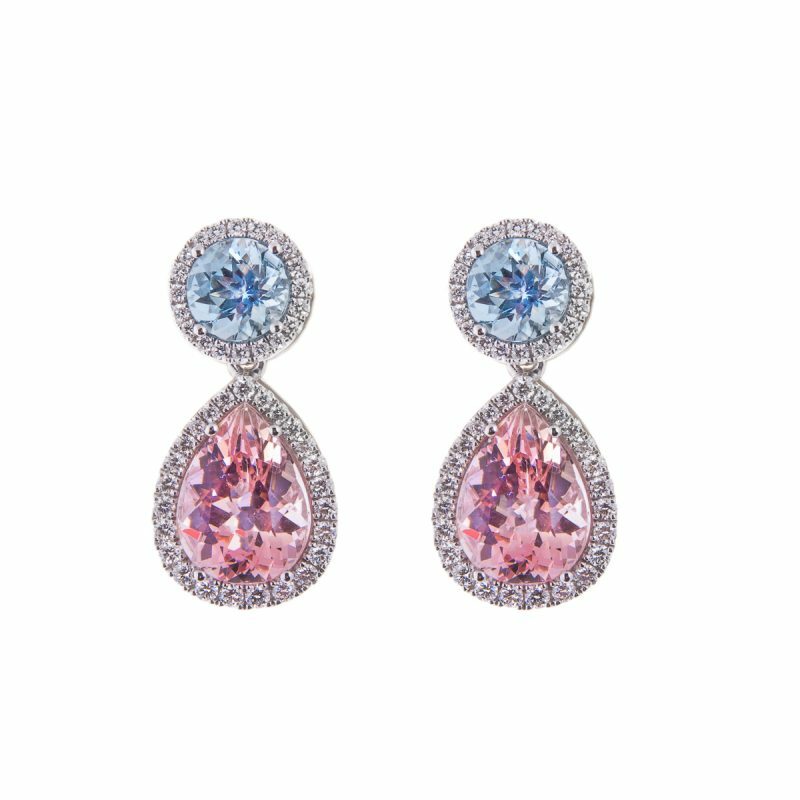 Complete the look with the matching earrings 96/243.